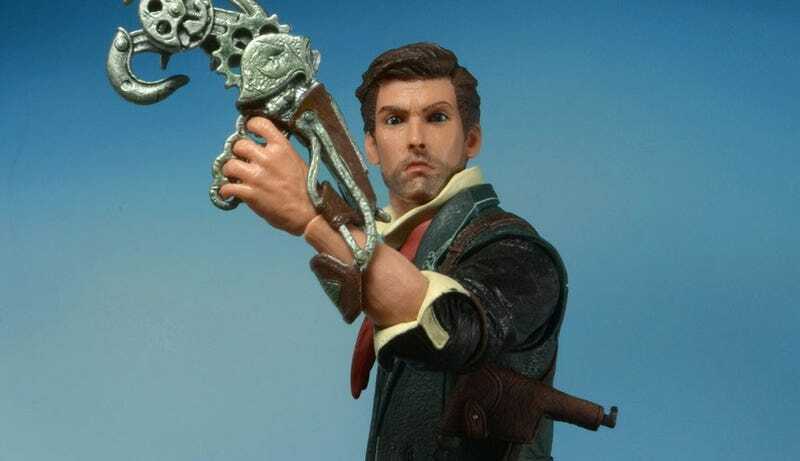 When you look at Booker DeWitt - star of BioShock Infinite - on the cover of the game, you see a rugged man of action who won't take no guff from nobody. When you look at his face on this new action figure, you see something else. I see a man who looks like he was in a band in the 1980s that had a lot of synthesizers in it. Maybe even a keytar.